The new feature allows users to send a 30-second short video message to someone who has declined or not picked up the call on the Duo app. The video message will automatically disappear once viewed but the receiver can also store them locally as favourites. Google Duo now comes with a new video messages feature. Like SMS, one can now send a video message on Duo and the receiver will be able to view it if they are unable to take a call. The new feature allows for sending a 30-second video or voice message if the receiver declines or misses the incoming call. Receiver can call back after viewing the video message and it automatically dissapears after viewing, however, a user can save them locally on their smartphones as well. The new video messaging feature will be rolling out for all Android and iOS devices in some days. 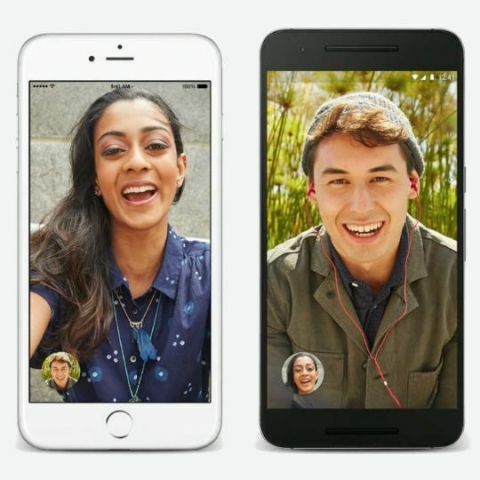 Google today announced a new feature addition to its popular video messaging app - Google Duo. With video messages on Google Duo, users can now capture and share important moments, even when friends and family can’t take the call. Starting today, Duo users can send a video message to their friend or family member, who will receive it in the Duo app. The video messaging functionality allows users to leave a 30-second video (or voice) message if the person they’re calling declines or misses the incoming call. To play a video message received from another user, simply tap their icon. And after you’ve watched their video message, you can tap the “Call now” button to easily call that person right back. Video messages will automatically disappear within a day after it's seen. But, you can always save your favorites locally to your phone. And like all calls made on Duo, video messages are secure and end-to-end encrypted. The new feature has begun rolling out on Android and iOS, and will be live worldwide over the next several days.